Gay Men’s Health Crisis (GMHC) has entered the housing market. The HIV/AIDS-focused organization took over the contracts for 25 housing units in the New York City boroughs of the Bronx, Brooklyn and Queens this month. The units’ tenants automatically became GMHC clients upon transfer of the contract on Oct. 1, according to GMHC CEO Kelsey Louie. The contracts for the homes were originally held by Catholic Charities, according to Louie, and taken over by GMHC at the request and coordination of the New York City Department of Health and Mental Hygiene’s Housing Opportunities for Persons with HIV/AIDS (HOPWA). All of the units are one-bedroom and occupation is mixed between individual units and families. The contract is the latest move in GMHC’s effort to expand into housing. 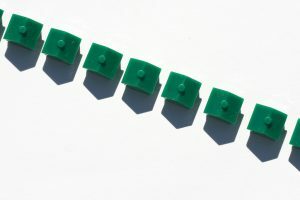 The organization, in June, received a $1.3 million grant from the Department of Housing and Urban Development (HUD) to provide housing and support services to those living with HIV/AIDS who have been victims of domestic violence. The pilot program, Safety in Housing, is expected to serve up to 60 households, place 30 families in transitional or permanent housing, offer rental subsidies to 15 households and provide short-term eviction protection to eight households annually in New York City. GMHC is awaiting word from HUD as to when it can launch the pilot program. The program is consistent with GMHC’s efforts to build programming for populations often the most difficult to reach – such as immigrants and survivors of domestic violence. As is the case with unstable housing and immigration, domestic violence provides yet another barrier for HIV-positive individuals seeking treatment, according to Louie. “This is part of a strategic plan to provide housing for our clients, because we understand the role that unstable housing has in continuing the AIDS epidemic,” said Louie. Tenants in the 25 units will be provided with GMHC wrap-around services which include a financial management program, short-term rental assistance program, legal services, hot-meals and food-pantry programs, mental-health and substance-abuse counseling and HIV and sexually transmitted infection education and counseling. The program aims to address what has been the chief concern brought to Louie since he took over the organization two years ago — a need for housing. Louie pointed out that those facing housing insecurity have greater difficulty with keeping up with medication and might also fall into challenges such as mental health issues and substance abuse. Each added stressor further complicates treatment, he said. Immigration has been such a stressor. Up until 2010 those infected with HIV were barred from entering the country, per federal immigration laws. The primary resident of each of the 25 units was or is an undocumented immigrant. Some have since gained legal status and others will pursue legal status with the help of GMHC legal services, Louie said. Undocumented immigrants have, as of yet, been unable to take advantage of available supports such as New York City’s HIV/AIDS Services Administration, he added.